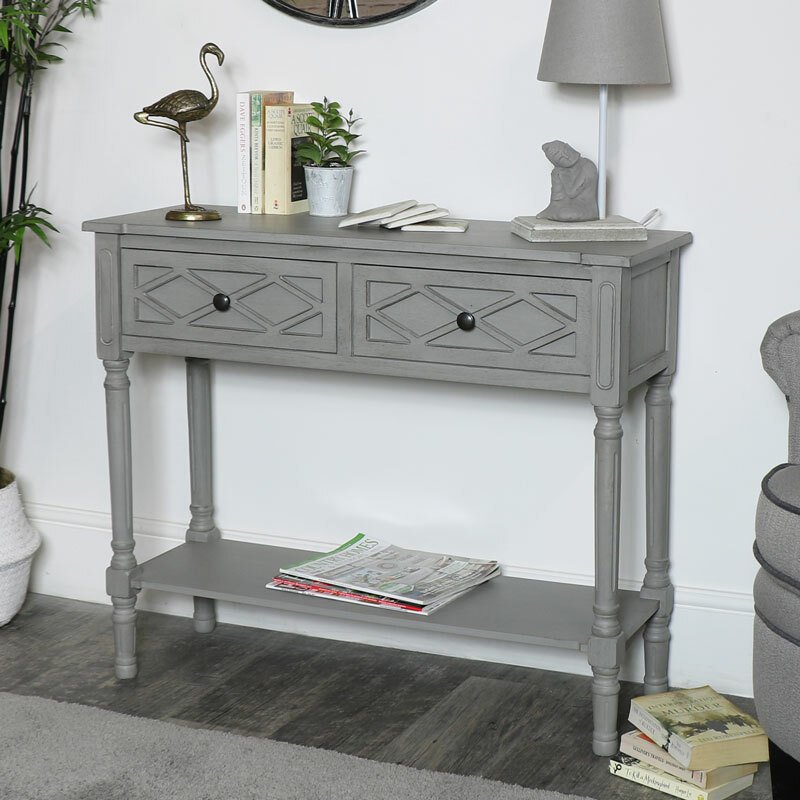 Our Venice Range console will make a stylish addition to your living room or hallway and will make a perfect display piece to become the focal point of your interior. 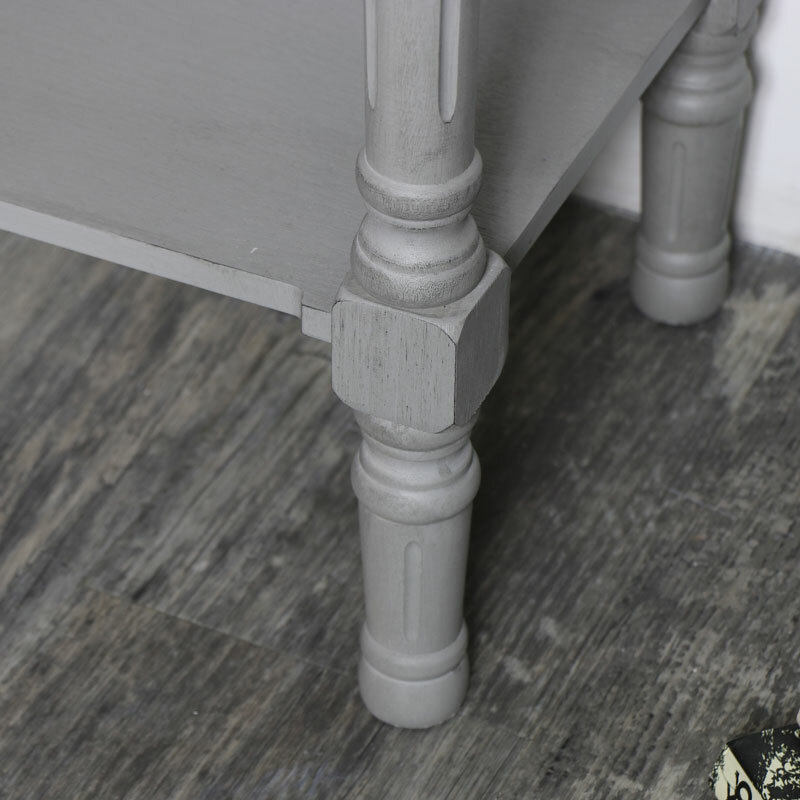 The table showcases latticed detailing with light distressing to its grey finish which will really bring out its inner vintage inspired presence. 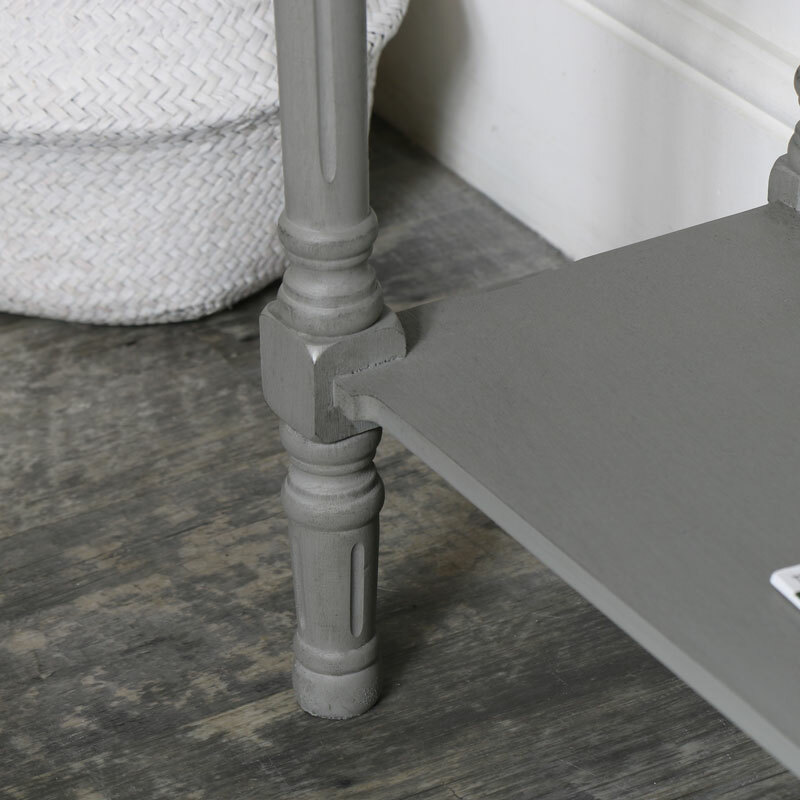 Featuring two drawers and a shelf at the bottom it is perfect for displaying and showing off your books, decor and treasures. 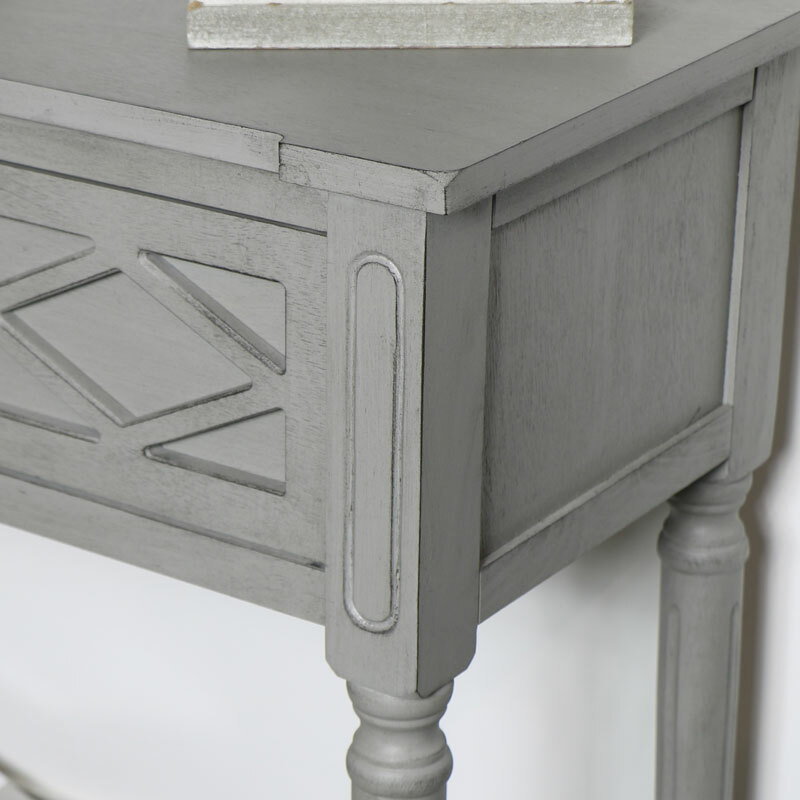 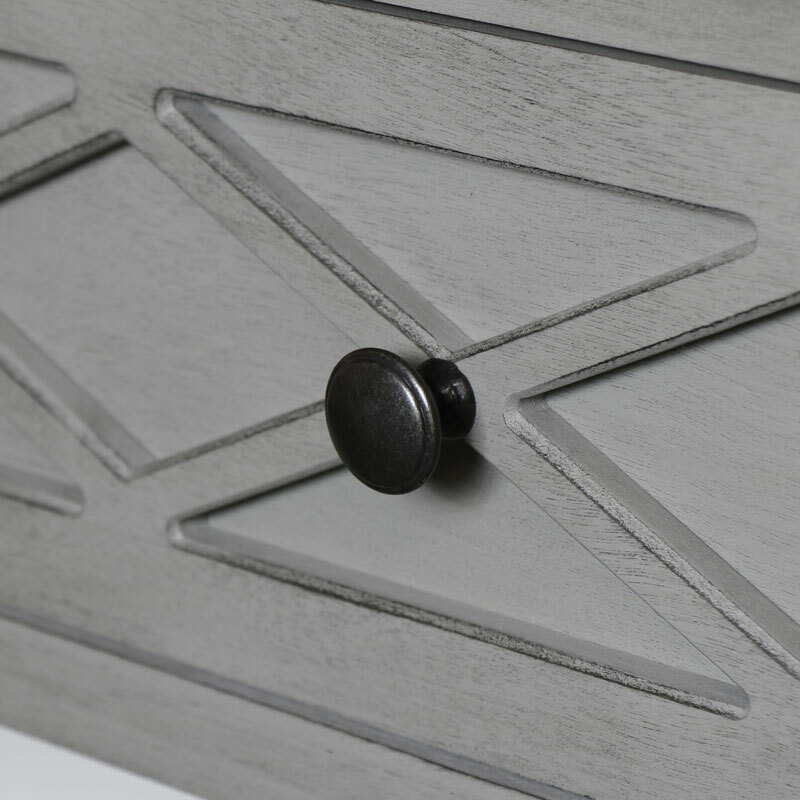 Made from wood and finished in a slightly distressed grey finish. 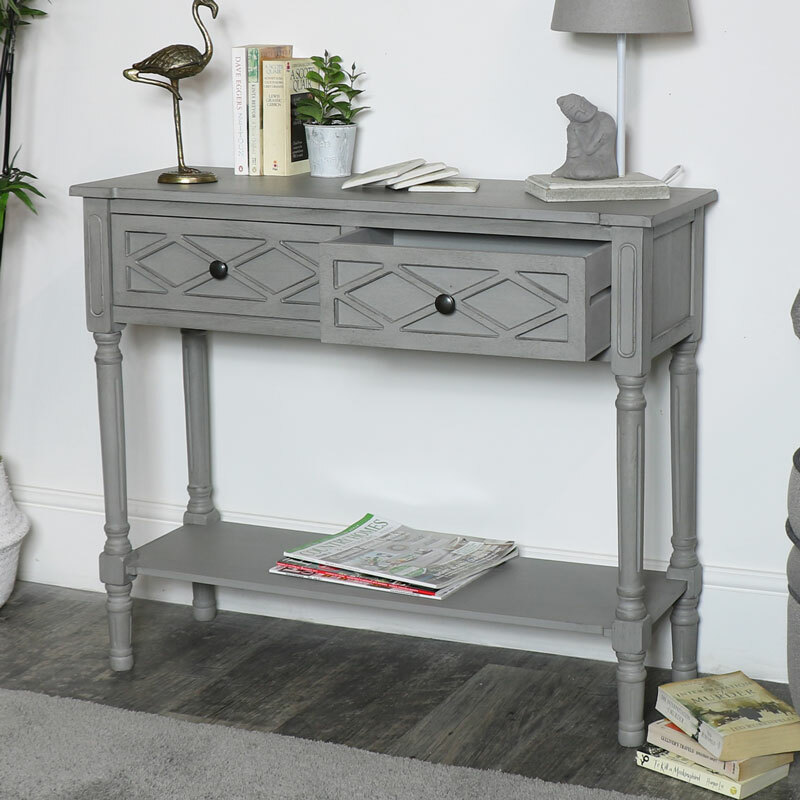 The console table does require some assembley with the legs and shelf to attach (all fittings are included).